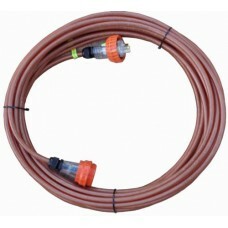 The Screened (Armored) extension lead with four layers of insulation for added electrical and mechanical protection. The first two layers the same as a standard extension lead. The third layer is a braided copper screen connected to the earth. 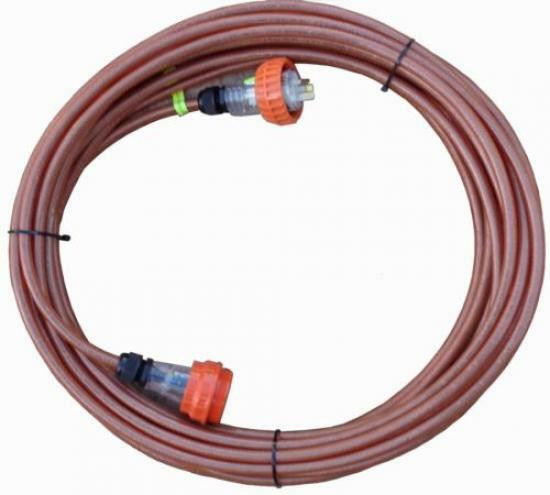 The braided screen offers additional mechanical protection plus and an addition multi earth path if the cable is cut and the active conductor hit, in turn tripping the RCBO. 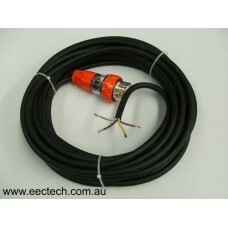 These leads also reduced electromagnetic interference helping protect sensitive electronic equipment. 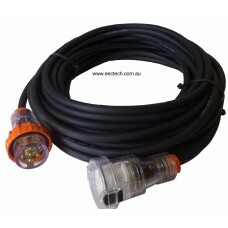 General Use 35m (with a 5% voltage drop). Sheath Colour: Clear - UV, sunlight and weather resistant. EEC is an online mail order store, and customer pickup is Pick-Up is not available. 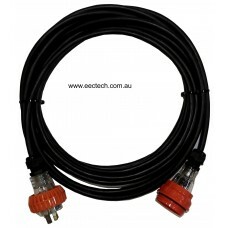 40A, 5 Pin 3 Phase Australian Standard Heavy Industrial Extension Lead Length:..